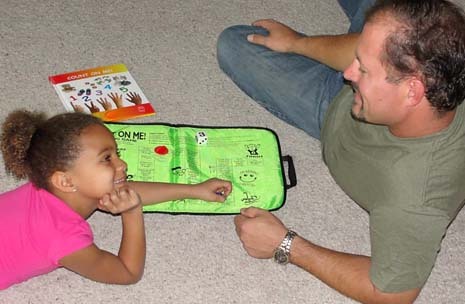 Learning Games: Learning Prop’s durable, educational games and books are designed for Bilingual and English early learning. 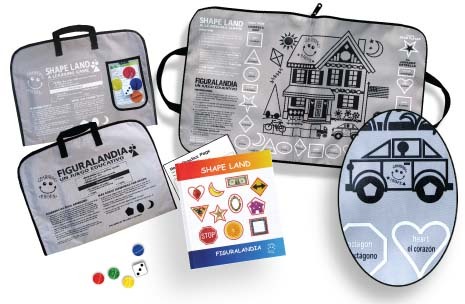 Innovative bag design combines easy storage with game components to “Make Learning Fun”! 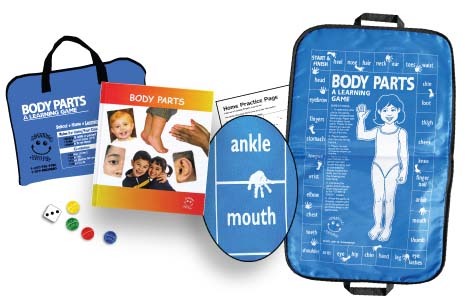 These literacy kits were developed to invite parent involvement, but they also support learning in classrooms, libraries, and other educational programs. 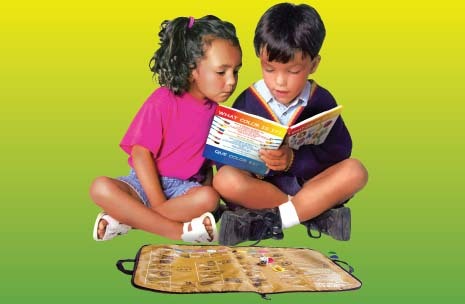 Books: Colorful photo based books support the Learning Props learning games or can be used independently in building language skills and early learning concepts. 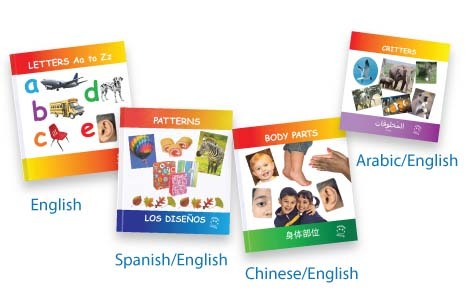 Dual-language books support Spanish, Arabic and Chinese learning. Follow us as we add more languages. 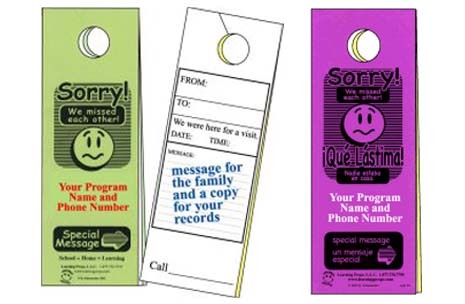 Door Hangers: These positive communication tools will support anyone who makes home visits with families. The unique carbon style design will document missed connections so families are never completely missed. Calendar Dots / Letter and Number Dots: Place sticker dots on calendars to serve as date reminders OR use the letter & number stickers to create “Props” for learning.